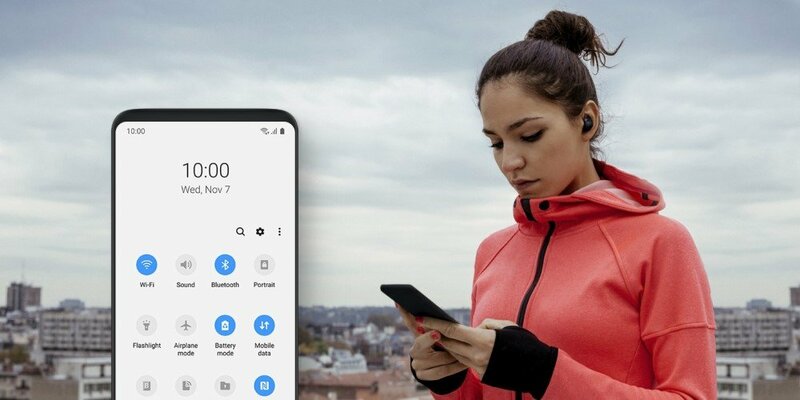 Among several interesting announcements, this year’s Samsung Developer Conference has revealed the future of the Samsung Experience UI. The company’s mobile interface has come a long way since TouchWiz UI, with steady improvements year after year. Samsung is now ready to start a new chapter with One UI, which represents the biggest refresh since Android Lollipop. Samsung’s One UI Beta Program will open soon, allowing you to try the Samsung firmware on your own device. Keep reading to find out what’s new, which devices will receive it and when it will be available! TouchWiz has been the interface of choice for many years on all Galaxy devices. We’ve seen many iterations based on different Android versions, each with their own peculiarities. However, they also came with a common issue: their poor performance optimization. While many people have loved TouchWiz for its features, at least as many have disliked the lag. This problem was caused by all the gimmicky functionality that Samsung kept adding to its smartphones. All these programs were constantly running in the background, thus stealing resources from the users. Back in 2016, Samsung has made the first attempt to refresh the user experience. The interface has been simplified and some unnecessary features have been removed. Needless to say, users have immediately shown appreciation towards this focus on performance. This new UI, called Samsung Experience, has represented an important step forward for the company. When the S8 and S8+ have been finally released, they felt new under every aspect. Little did we know, this interface was just a transition element. In fact, Samsung was already planning ahead to combine all the acquired information into a completely new experience. After a lot of development and testing, the all-new One UI has been revealed to the public with many details. In short, the new interface continues on the same road as the Samsung Experience. However, Samsung has made several courageous choices that differentiate it from anything we’ve seen before. Now, let’s see it more in depth! You may also like: Make Your Android Device Look Amazing with Swift Installer! Among all things, One UI focuses on simplicity and ease of use. The entire interface is built to look and feel natural, eliminating what’s not necessary. One of the most relevant changes is the separation between viewing and interaction areas. Taller display aspect ratios are great for the viewing experience, but reaching elements on top becomes harder. As a result, Samsung decided to move all the interactive elements to the lower part of the screen. When you’re using your device one-handed, everything will be placed at the reach of your thumb. A lot of effort has also been put into making the entire experience more streamlined. In other words, we have fewer elements on the screen, allowing us to focus on what actually matters. The entire OS makes use of neutral backgrounds, moving our attention to the highlighted elements. Sharp corners have now been rounded and various elements are more refined. Additionally, we’re finally getting a native system-wide night mode. 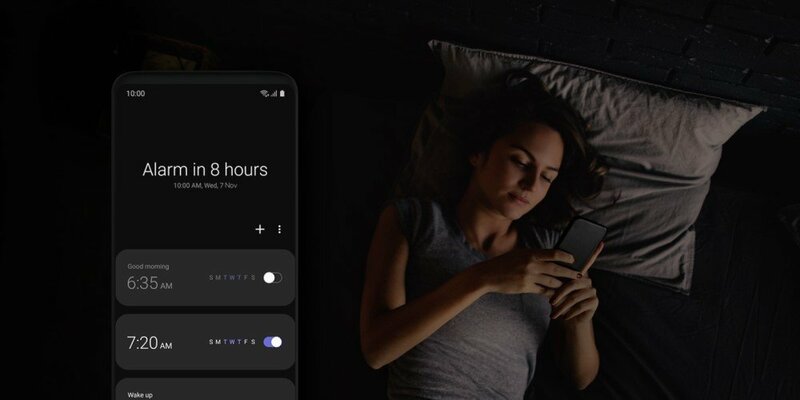 Whether you want to comfortably use the device at night or you simply prefer dark themes, now it’s easier than ever before. Samsung’s One UI Beta Program is what S9, S9+, and Note 9 users will be interested in. This beta will be compatible with both Snapdragon and Exynos models, but there are some restrictions. To be more specific, only selected countries will obtain access to the program. The first ones to experience it will be Germany, Korea, and the US. Not much later, China, France, India, Poland, Spain, and the UK will also join. While the update should roll out in all these countries by the end of November, more could be added in December. 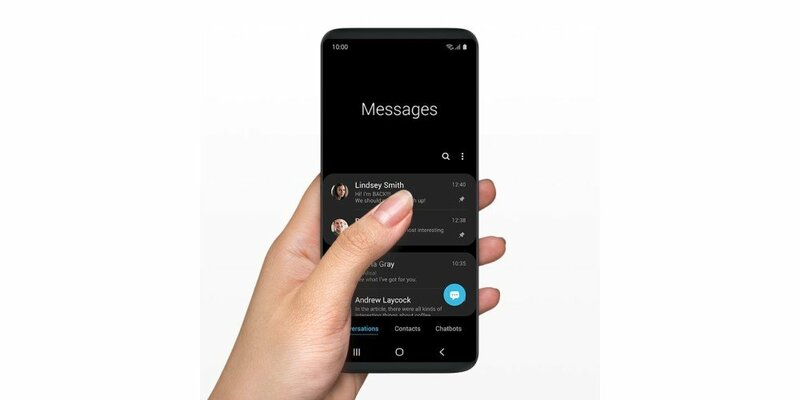 Thanks to Samsung’s One UI Beta Program, you’ll be able to preview the new One UI with Android Pie few months before the final release. Being a beta, bugs and glitches are something to expect. If you’re installing it on a secondary device, there’s nothing to worry about. However, since we’re still waiting for the release, it’s hard to tell if it’s suitable for a daily driver. We may post a review with our personal experience, so stay tuned! Keep in mind that the development has started a few months ago. Several leaks have kept us updated about the progress, and it seems that it’s now very close to the final version. The goal of Samsung’s One UI Beta Program is receiving feedback from the users. The more people use it, the easier it is to find bugs, even the smallest ones. This way, when the official release reaches the public, it will be as good as possible. Recommended: Does Lowering Screen Resolution Increase Battery Life? Enrolling in Samsung’s One UI Beta Program is very simple, but you need to be invited first. These invites will be sent on the opening day, which is said to be planned around November 15th. The release may vary depending on the device and the country, some patience will be needed. The invite will show up through Samsung+ in the US and Samsung Members for all other countries. You can download both apps via Play Store and Samsung Apps, but you could already have one pre-installed. Keep in mind that you’ll need a Samsung account in order to enroll in the program. Samsung+ should show a banner, while Samsung Members will notify you through the Notices section. Once you receive the invite, you have to submit an application and wait for the approval. Samsung will send you the OTA update, which you’ll see in the Software Update section of your Settings menu. This update will install automatically just like all others, it may take a few minutes and the device will restart once done. Lastly, we highly recommend performing a factory reset right after the update, in order to avoid issues. This is not mandatory, but you’ll get a better overall experience. The One UI rollout should start in January, but the precise date depends on the outcome of the beta program. First, in line for the new firmware, we have the S9, S9+ and Note 9. Since they’re the latest flagships, they’ll receive the priority over anything else. More recently, we have also received a confirmation regarding the S8, S8+ and Note 8. Even though the update will take a bit longer to arrive, it is good news anyways. We’ll keep you updated about any further official communications, for the moment that’s all we know. 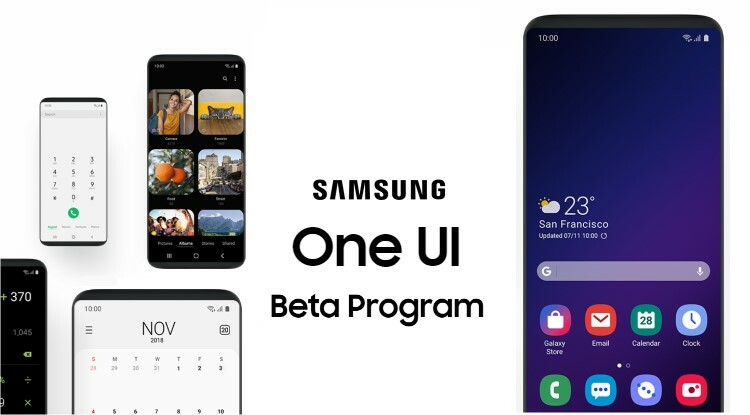 Are you planning to enroll in Samsung’s One UI Beta Program on your device? Let us know in the comments below! So i followed every step and i still have not gotten the pie update. I have a verizon s9 plus. Can anyone help? Thank you. When it comes to branded models, software updates are managed by the carriers themselves. As a result, Samsung doesn’t have full control over these devices. It seems that, this year, only the unlocked S9 and S9+ have received One UI Beta. The official update may still become available later this month, but Samsung hasn’t shared any information yet.